Just like one healthy meal isn’t going miraculously give you a six pack, one slice of pizza isn’t going to throw you off the nutritious bandwagon. When it comes to an optimized diet, it’s all about establishing sustainable habits. I think we all can agree that food is one of the best parts of life. While it’s necessary for survival, food is also pretty freaking tasty. So let’s celebrate that mouth pleasure! In Aubrey Marcus’ book “Own The Day,” he highlights the importance of food variety in order to maximize micronutrients in your eating regime while keeping it interesting for your palette. 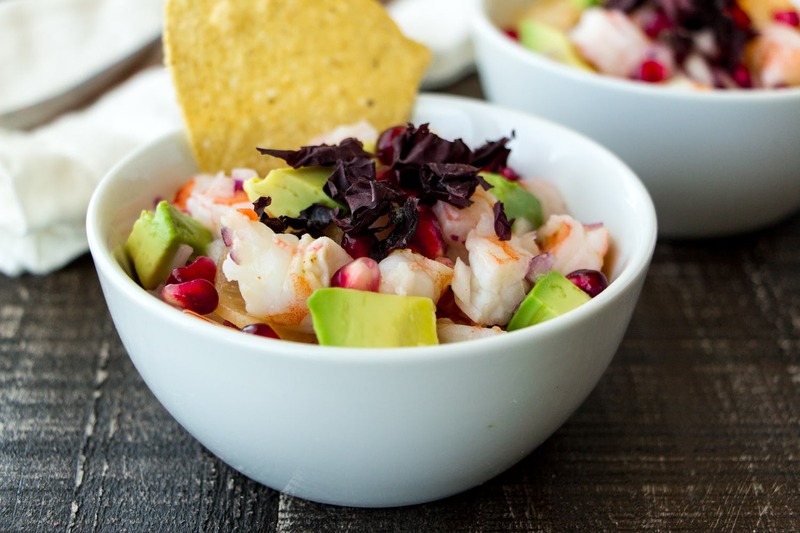 In his words, “Eat A Weird Lunch.” These two low-carb lunch recipes featured Chapter 8 are going to ensure that you step up your game through delicious, easy-to-prep, nutrient-dense meals. 2. 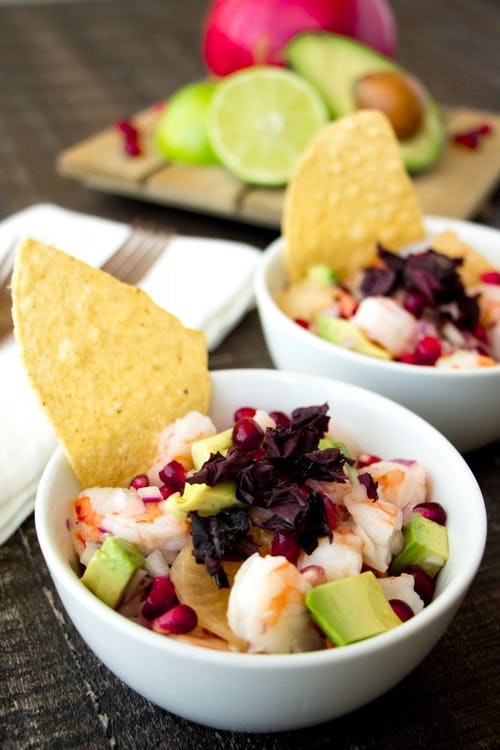 Combine the shrimp, avocado, kimchi, red onion, and pomegranate seeds in a large bowl. 3. Add the lime juice, red pepper sauce (to preferred heat level), and sea salt, and stir to combine. 4. Refrigerate for a minimum of hours to let the ceviche marinate. 5. Before serving, sprinkle on the seaweed flakes. Note: You can find dulse or nori flakes in most supermarkets, or use the Japanese Seaweed seasoning blend furikake. 2. Break the cauliflower into florets. 3. 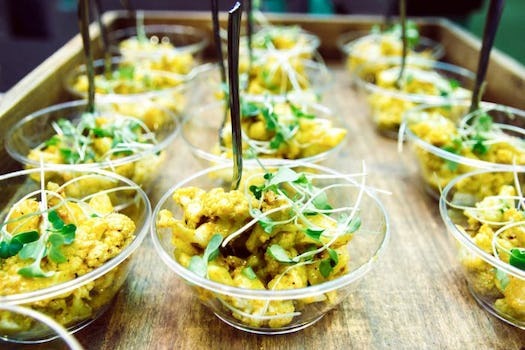 On a baking, toss the cauliflower with avocado oil, and sprinkle with sea salt. 4. Roast for 20 minutes or until the cauliflower, starts to turn soft and golden brown. 5. In medium bowl, mix together the mayo and the curry powder or turmeric. 6. Add the roasted cauliflower to the bowl, and stir to combine.